Is Anammox The Cure For Algal Blooms? In 2008 Texas was facing an extended drought and the City of San Angelo was weighing its alternatives. The City felt the Hickory Aquifer well field was the best water option available, but this water contained significant amounts of radium and iron. The Hagerstown Wastewater Treatment Plant in Maryland incorporated several plant modifications, one of which was the conversion of their disinfection process from the use of ozone to UV. A carrot packing plant was having severe odor problems due to septic conditions in their truck washout water holding lagoon. In addition, nutrient and nitrogen levels were becoming an issue for land application of the wastewater for crop production. A leading fruit juice company had expanded over the past ten years and increased wastewater flow from 7,000 to 11,000 gallons per day (gpd), without upgrading its wastewater treatment plant. Read the full case study to learn how after a Mazzei AirJection system was installed, dissolved oxygen levels increased in the aeration basins, which immediately eliminated the odors. A shopping center in Ventura, CA with several major retail stores, was suffering from a sewer odor problem. The treated effluent from all wastewater treatment plants across the country must meet local dissolved oxygen (DO) limits before discharging into receiving waters. The LeSourdsville WWTP in Butler County, Ohio, was required to meet their NPDES permit requirement of 6 mg/l dissolved oxygen at the plants Miami River outfall. A large vegetable processing facility was experiencing problems with its lagoon surface aerators. The company’s treatment process includes a collection and screening assembly, two anaerobic stabilization ponds and a 40 million gallon aerated lagoon. Most lift stations and basins require separate drain inlets that do little to keep out large solids such as gravel, branches and general litter than can destroy pumps. ClearBlu has developed a traffic rated grate system that utilizes perforated plate with 1/4″ holes. The grate sits in a heavy grate frame that embeds in concrete. By embedding the frame in concrete, traffic weight is carried by the frame and concrete and not the basin. This allows the basin to be secured and sealed to a poly or fiberglass basin. Diffused air is a simple concept which entails pumping air through a pipe or tubing and releasing this air though a diffuser below the water’s surface. Mass Transfer Systems offers air blowers for aeration systems, the bulk of which are either multistage cetrifugal or positive displacement blowers. MTS can provide technical assistance in selecting the blowers to best fit your project. ClearBlu provides sophisticated wastewater treatment equipment scaled to small to large size craft brewers. This allows brewers to stage in treatment as it’s required by the municipality, or if you are located in an area without sewer access. We also provide complete systems in package or pond format. Discussing the projects that RWL Water has been involved with in 2016, you understand just how variable the world of water treatment really is. When it comes to wastewater lagoons, there are three main challenges that operators run into. The first, similar to other parts of the nation’s wastewater treatment infrastructure, is age. The second is compliance with new EPA ammonia, nitrogen and phosphorus limits which many lagoon plants weren’t designed to deal with. And the third is expansion as communities grow and need additional capacity. 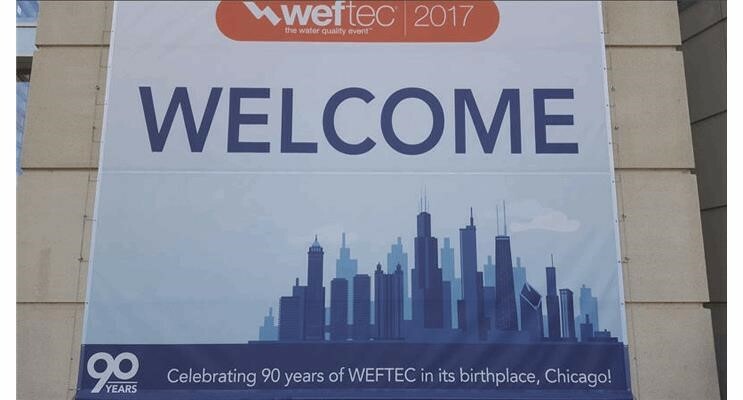 At WEFTEC 2016, Evoqua Water Technologies explored six core challenges faced by wastewater treatment plants -- energy reduction, nutrient removal, odor and corrosion control, aging plant equipment, water reuse and disinfection. In this Water Online Radio interview, Paul Rice, Municipal Marketing Director with Evoqua Water Technologies, discusses energy reduction and nutrient removal in more detail. At the wastewater treatment facility, the biggest energy consumer is almost always the multistage aeration blowers. Replacing these blowers with high speed turbo blowers can save energy but the short-term cost to replace the existing blowers, reroute pipe and set new foundations can make the change a hard sell. A common first step in the secondary treatment process is to send wastewater to an aeration tank. In an aeration tank, bacterium is used to effectively break down pollutants into less harmful components. Wastewater aeration provides the appropriate oxygen level so that aerobic bacteria can thrive in degrading pollutants such as iron and manganese as part of the wastewater treatment process. Aeration can also be used to destroy anaerobic bacteria that perish in the presence of oxygen. Aerobes that can break down pollutants 10-100 times faster than anaerobes are used most frequently. Aeration is also used to improve waste lagoons and other waterways such as lakes and reservoirs where oxygen deficiency contributes to taste, odor and pollutant problems. Equipment used for wastewater aeration includes low cascades, jet fountains, spray nozzles, blowers, submerged perforated pipe and porous plates or tubes. Whether the water is thrown into the air via a fountain or diffused by air bubbles being blown or drawn into the wastewater in an aeration tank, aeration works by increasing the area of contact between the oxygen in the air and water. The most common wastewater aeration process in use today is the air diffusion process, where air is introduced from blowers through diffusion tubes suspended in a spiral flow tank, or in some cases, through diffuser plates in the bottom of the aeration tanks.